We, the undersigned, respectfully request that you consider Marc Bolan & T-Rex for induction into the Rock & Roll Hall of Fame. His talents as a unique songwriter, explosive guitar player and fantastically charismatic performer make him an ideal member of the museum’s distinguished pantheon. When Bolan transformed himself from a Tolkein-influenced, elfin folk guru into an unstoppable producer of gleaming hit singles, he gave the world what it needed in the aftermath of the break up of The Beatles and death of the 1960’s dream. In his heyday, he was an incredibly dynamic performer who drew fanatically adoring audiences. None other than Tony Visconti, who produced many of his records and who also worked extensively with David Bowie, called him the “most charismatic” person he had ever worked with. On singles like Ride A White Swan, Hot Love, Get It On, Jeepster, Metal Guru, 20th Century Boy, Telegram Sam, Children of the Revolution, Teenage Dream and others he demonstrated a rare ability to inject a jolt of originality into existing rock and roll structures. During his tours of America he became infatuated with soul and R&B and incorporated those sounds into his music. While some of this material struggled commercially, it predated forays into similar territory by David Bowie and other artists. At the time of his death at the age of 29, he was emerging as almost an elder statesman, mentoring and exposing the world to punk bands like the Damned on tour, in the TV studio and in his magazine column. In addition, in songs like “Dandy In The Underworld” and “Celebrate Summer” he showed he was still capable of creating songs that were either grandly complex or joyfully simple. The many covers of songs like “Get It On” and “20th Century Boy” by Def Leppard, Morrissey, Guns n’Roses, etc., testify to his enduring influence and the lavish reissues of his entire catalog demonstrates the solidifying of his place as an important figure in the history of rock. 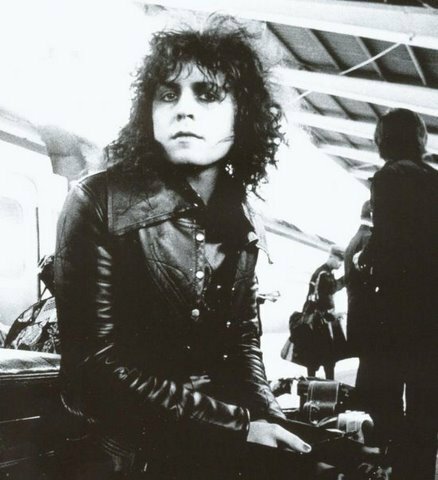 Bolan’s music has also been featured in numerous films like Billy Elliott, School of Rock, Velvet Goldmine, Lords of Dogtown, Laurel Canyon, Death Proof, the new Theater of War, as well as in many advertisements. We greatly appreciate your consideration in this matter and hope that you see fit to bring Marc Bolan into the Rock & Roll Hall of Fame.